In a compelling story of the installation and operation of U.S. bases in the Caribbean colony of Trinidad during World War II, Harvey Neptune examines how the people of this British island contended with the colossal force of American empire-building at a critical time in the island's history. The U.S. military occupation between 1941 and 1947 came at the same time that Trinidadian nationalist politics sought to project an image of a distinct, independent, and particularly un-British cultural landscape. The American intervention, Neptune shows, contributed to a tempestuous scene as Trinidadians deliberately engaged Yankee personnel, paychecks, and practices flooding the island. 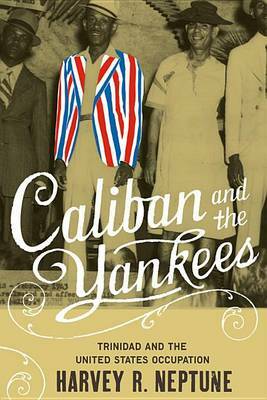 He explores the military-based economy, relationships between U.S. servicemen and Trinidadian women, and the influence of American culture on local music (especially calypso), fashion, labor practices, and everyday racial politics. Tracing the debates about change among ordinary and privileged Trinidadians, he argues that it was the poor, the women, and the youth who found the most utility in and moved most avidly to make something new out of the American presence. Neptune also places this history of Trinidad's modern times into a wider Caribbean and Latin American perspective, highlighting how Caribbean peoples sometimes wield "America" and "American ways" as part of their localized struggles.